Do you have fond memories of your last website re-design process? We didn’t think so. For most companies, undergoing a site redesign is a time consuming, arduous process. Frustrations often arise over rising budgets, extended timelines, unexpected issues and conflict of interest. While a revamp seems the only way to remain relevant to users and search engines, disruption to normal website functions can wreak havoc with marketing and overall business objectives. So, what’s the alternative? Fuse marketing and website redesign and voila, enter growth driven design. Growth-driven design (GDD) minimises the risk of traditional website design with a smarter approach to achieving results using data. GDD is an ongoing process, with focus on continuous learning and improvements rather than a large one-off project seen with traditional approaches. An adaptive model, businesses can take small steps, spreading the risk and cost over time. Rather than update your website with outdated design and content that is no longer relevant to your goals, GDD makes informed website changes based on on-going testing and research based on your visitor’s behavioural data. You realise your website is no longer effective; conversion rates are low, user experience is poor and it’s not responsive on all devices. It’s time for a website facelift. After deciding on a web agency, budget and timeframe, you proceed with the website revamp. Building, testing and revisions span over 4 months before the final version is launched. 2-3 years later, poor results crop up and the re-design process starts again. How does Growth Driven design compare? Rather than basing design decisions on internal preferences, the GDD process focuses on marketing objectives and website visitor data to improve site functionality and user experience. Step 1, Strategy and Launch Pad: First up, a detailed website audit to learn how visitors are currently interacting with your site. This identifies areas for improvement to be included in the launch pad site that will provide the best initial impact. Unlike traditional website design where a new site isn’t launched until complete, GDD first sets up a basic ‘launch pad’ site. A launch pad is fully functional for users and acts as a foundation on which to fine tune and optimise over time. Following this, create a wish list and set deliverables for later in the GDD process. Step 2, Continuous improvement: Once the launch pad website is live, the focus shifts to collecting user data and continuous learning. By analysing site performance, carrying out regular site audits, reviews and A/B testing you can continually identify areas needing improvement. Based on this, keep an actionable list of items that will improve user experience and provide the greatest Return on Investment (ROI). With GDD, website content is built out on the launch pad site over time, rather than requiring all content to be finalised for the initial launch seen with the traditional design process. 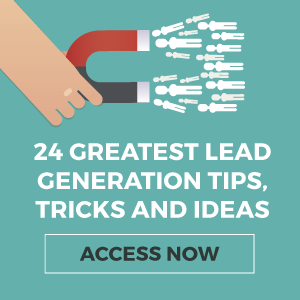 The entire Growth driven design process centres around your buyer personas. When analysing your site performance and putting forward changes, consider how each action will impact your persona; will it provide value to them when they visit your website? When a proposed site change doesn’t positively correlate to your target audience it’s time to re-evaluate before going forward. GDD is all about taking user data and making informed website improvements to achieve optimum performance. Traditional website design is a long process, often taking months to launch the final site. 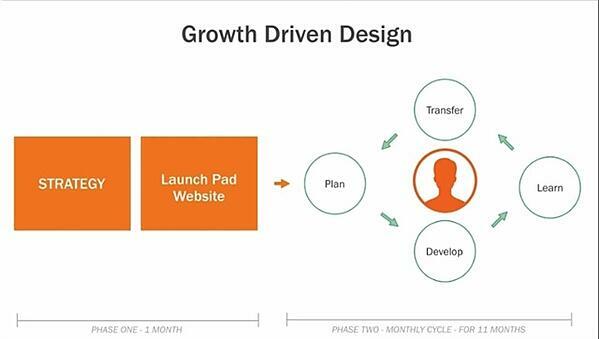 While GDD is an ongoing process, launch pad sites can be built and designed in a much shorter timeframe. GDD is a long term, continuous process which means less investment is required upfront. With companies not having to pay a large sum from the outset, costs can be spread out over time. The GDD process uses visitor analytics to make the changes necessary to maintain a user friendly, functional website. By continuously updating your site to reflect customer preferences your website becomes an integrated part of your marketing machine. Traditional websites are static until the next re-design process begins, at which point data can already be outdated. Do you want to see continuous website improvement, boost your marketing performance and spread investment out over time? If so, Growth driven design is the smart website re-design process for your business.